Raw Power 2.0 is out for Mac OS X. I tried it out on a Fuji XPro2 file taken this October on a trip with my daughter. 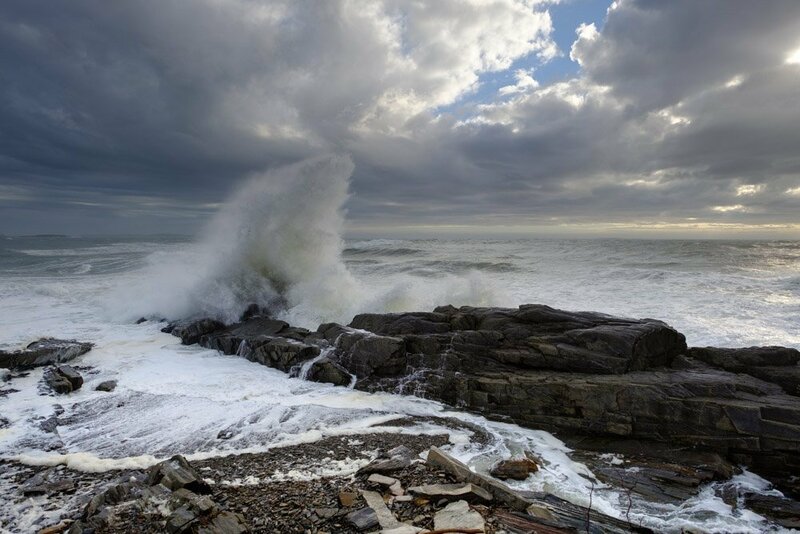 Here’s a photo processed entirely in Raw Power 2.0 and cropped to a 4×5 aspect ratio. I added the white frame in a separate program. Right click on the image for a full size version. 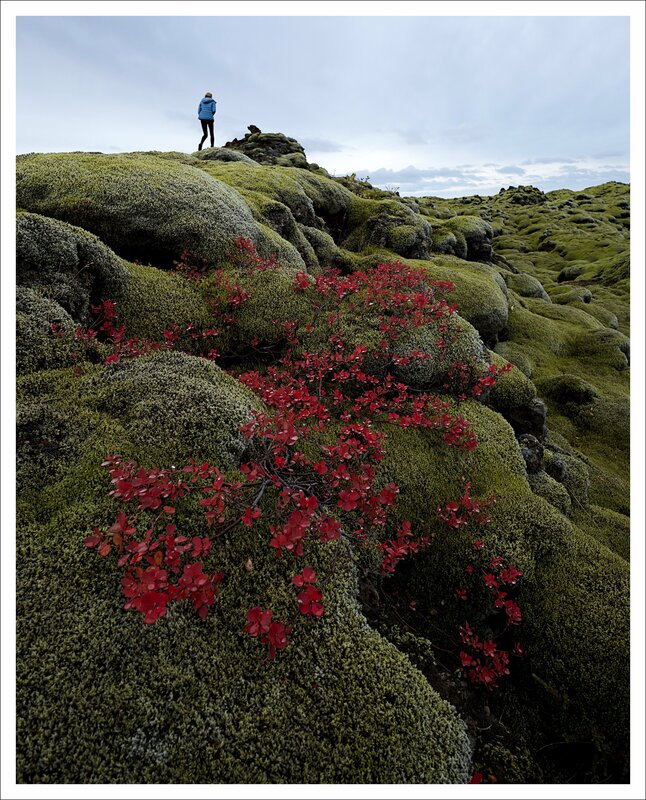 Tuesday night I am flying to Iceland with my oldest daughter, Eva, to spend a week traveling, hiking, running, and photographing in Iceland. The last time I went to Iceland I was alone and when I arrived (in the end of March) several feet of snow had fallen, making my initial idea of doing a lot of trail running not possible. Also, last time I still was shooting with Canon cameras—which I had used exclusively since my first camera (a Canon EOS 10s film camera) in the late 1980[s. Although the EOS 1Ds Mark III I was using in my last trip functioned wonderfully, it was a tank of a camera, and the high ISO performance was not very good. A few years ago, after reading about the Fuji mirrorless cameras, I purchased a Fuji x100T and was so impressed by the image quality and the compactness of the camera, that I sold all my Canon camera gear and switched completely to Fuji. These cameras are without a doubt, the best camera’s I’ve ever used, and the image quality is far better than my previous “full frame” Canon camera. 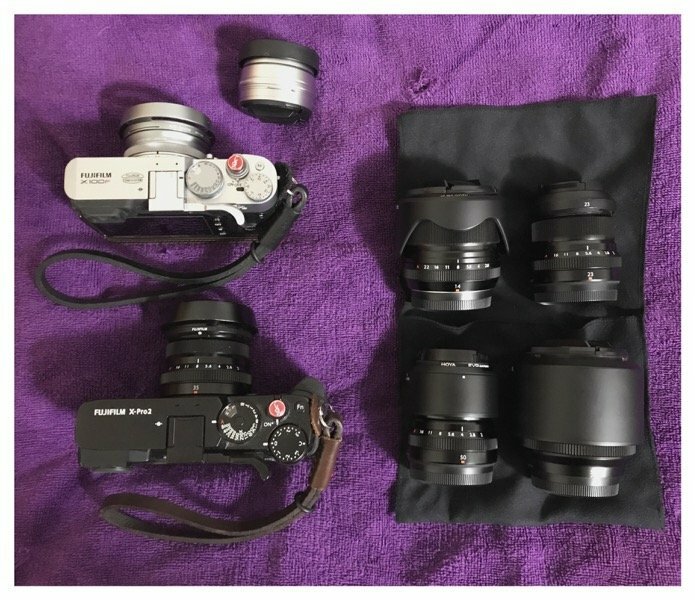 Here’s the kit that I am taking to Iceland: An X100F with the wide angle conversion lens, and XPro2 with 14mm, 23 mm, 35 mm, 50mm, and 56 mm lenses, Also (not pictured) a monopod and a tripod, and 5 extra batteries. Now I have to finish grading a pile of physics exams, write a Statistical Physics lecture, and then I can enjoy traveling around Iceland with my daughter. 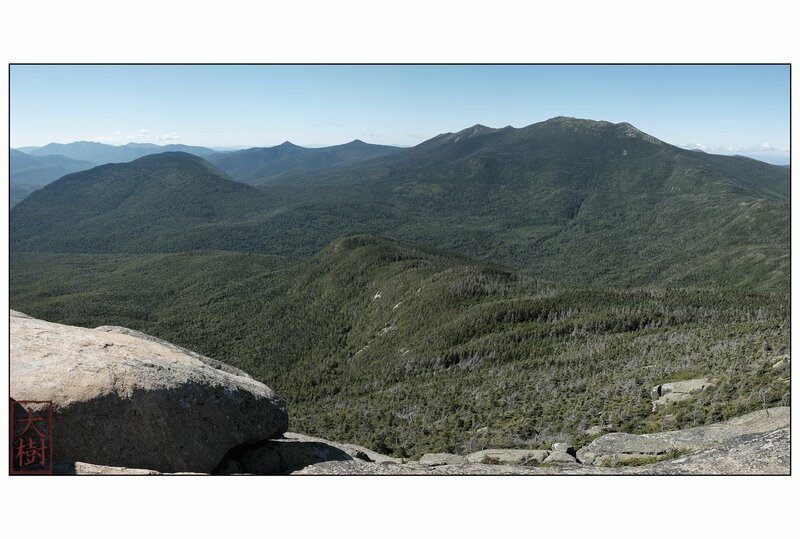 Here are some photographs from a partial Pemigewasset Loop that my wife and I hiked this 7-8 August. down Falling Waters Trail from Little Haystack Mountain. 25 miles, 17 Hours in two days. of the cliffs to the body of Mt. Bond…in any case, here’s my wife in the classic cliche Bondcliff shot, but it’s an amazing spot everytime I go to it. Standing out on the far rock is almost sure to make one take pause (it always totally terrifies me), and most people will not stand closer than about 1m from the edge. 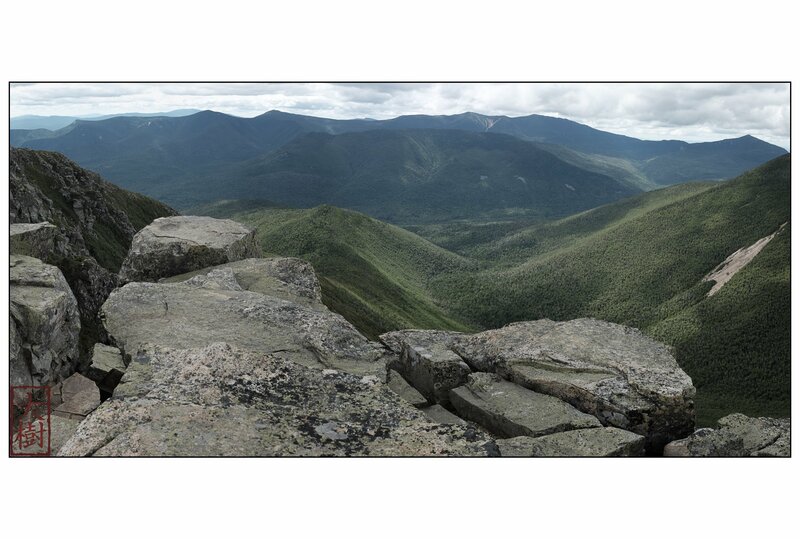 View of Owl’s Head and the Franconia Range from the summit of Mt. Garfield. 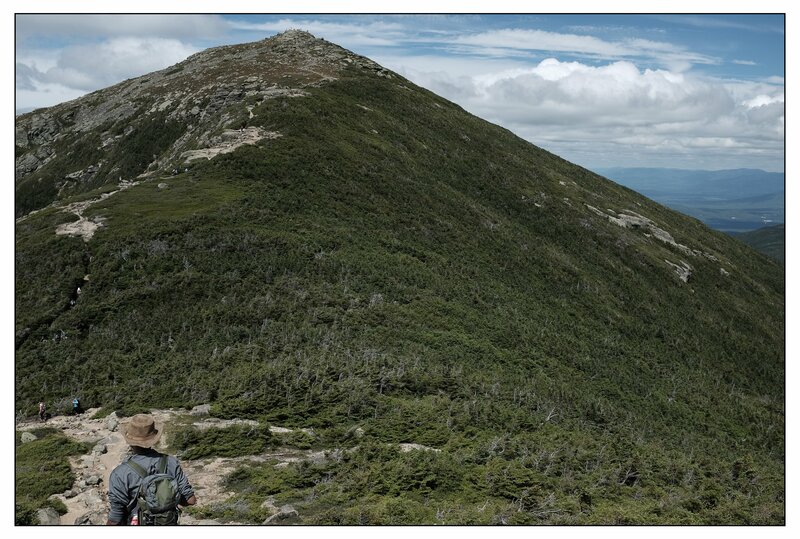 From here, it was several kilometers unti the summit of Mt Lafayette (1,603.2 m) became visible. First clear view of the Mt. Lafayette summit after emerging from the forested ridge connecting Mt. Garfield and Mt. Lafayette. 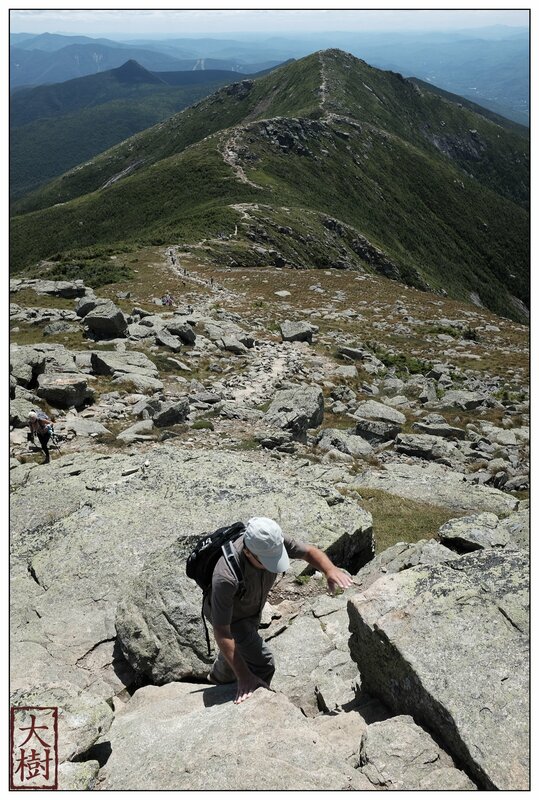 Note the inherent fashionability of this NH hiker on his way to the summit. 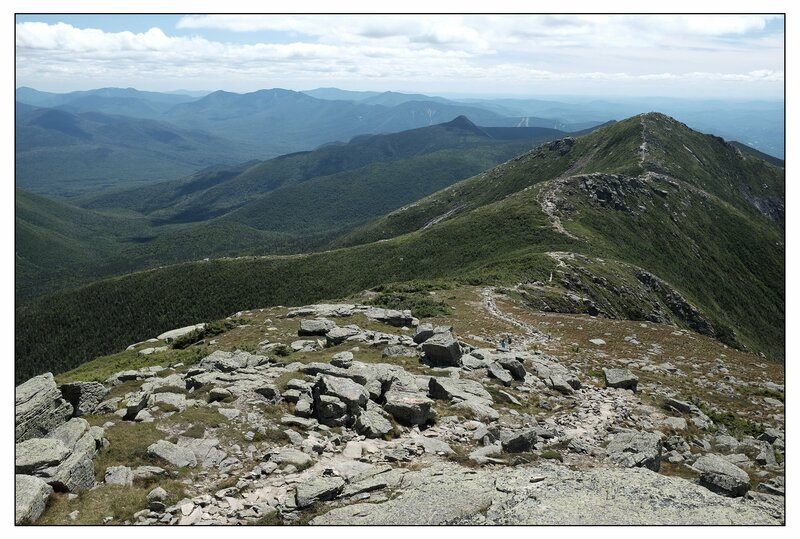 The view looking south along the Franconia Ridge from the summit of Mt. Lafayette. Descending Mt. Lincoln toward Little Haystack Mtn. 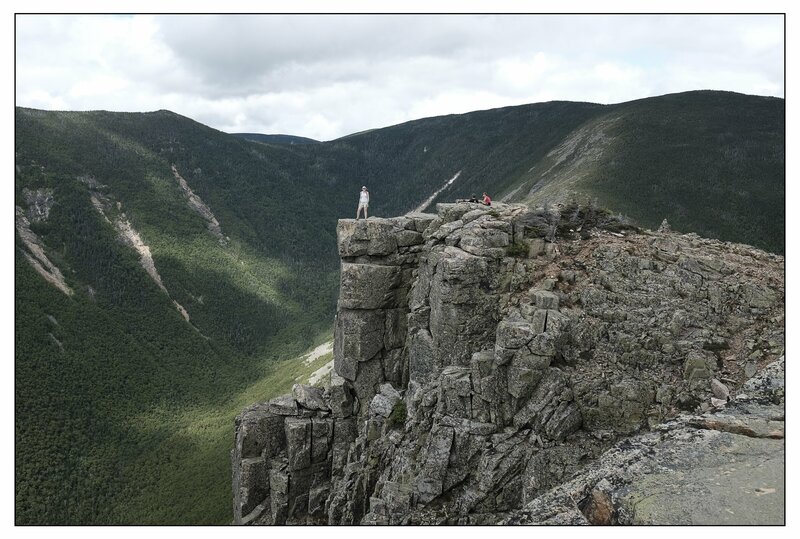 All in all, a great hike in perfect weather conditions over two days — a rarity in the White Mountains!